Atlantic Center for the Arts is teaming up with the world-renowned OneBeat, one of our most captivating partners, to present an unforgettable evening of international food, drink, and music! 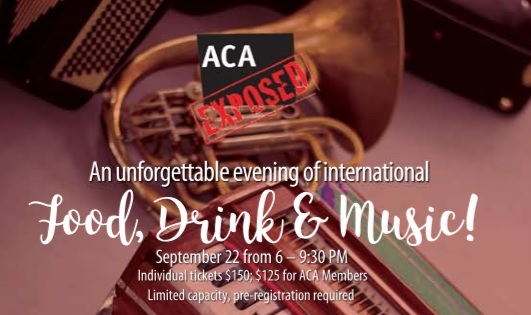 Experience the global sounds of the OneBeat Fellows and sample the originality of award-winning chefs as they incorporate the flavors of these musicians’ home countries for an evening of culinary delight and a riveting performance at ACA Exposed, Saturday, September 22, 6 PM – 9:30 PM. OneBeat is a musical journey like no other―it’s a chance for adventurous musicians from wide and diverse traditions to seek common ground, create new musical mixtures, push the boundaries of music technology, find ways to involve all members of society in the creative process, and engage in people-to-people diplomacy. This year’s Fellows hail from Algeria, Brazil, Colombia, Cuba, Egypt, India, Jordan, Lebanon, Madagascar, Malaysia, Morocco, Pakistan, Senegal, South Africa, Ukraine, the United States, and Zimbabwe. Chef Hari Pulapaka has been nominated four times for a James Beard Best Chef award, has a Ph.D. in Mathematics and is also an active, full-time tenured Associate Professor at Stetson University. 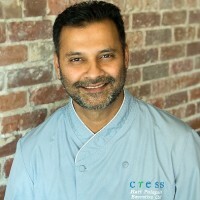 Hari is an author, sustainable food system advocate, and chef/co-owner of Cress Restaurant for over a decade. Chef Hari has been featured at the prestigious James Beard House on six occasions and most recently, at the 2018 James Beard Awards in Chicago. 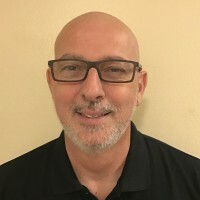 Executive Chef David Moscoso is a professional member of the James Beard foundation, a James Beard Smart Catch Leader for Florida and a culinary member of the American Culinary Federation. David’s specialties are in traditional Mediterranean and Southern Coastal Cuisine, focusing on sourcing local ingredients. Moscoso’s main approach is infusing coastal favorites with seasonal ingredients and combinations of new flavors from all corners of the world. Third Wave Café and Wine Bar of New Smyrna Beach has been featured in Southern Living Magazine, Orlando Weekly and most recently, featured in the Daytona Beach News Journal’s Let’s Eat Weekly. Born and raised in South Africa, Chef Bram discovered his passion for creating food at a young age and traveled the world inspired by cuisine. 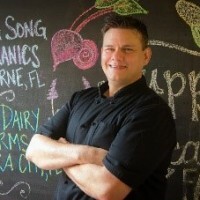 As the owner of the renowned Journeys Restaurant, Fowler was a three-time winner of the Chef Challenge Competition at Le Cordon Bleu College of Culinary Arts, was awarded “Best Overall Restaurant in Orlando”, “Best Independent Restaurant” and named one of Central Florida’s “Top Chefs”. Chef Bram was honored to be featured at the prestigious James Beard House in 2014. In 2017, Fowler took on the role of Executive Chef and Director of Operations of The Old Jailhouse. Set to open late 2018, this 1890 jail building will transform into a chef driven, full service restaurant and bar with a focus on “Sun Belt” cuisine. 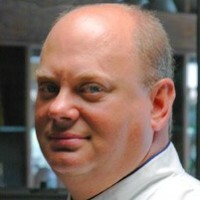 Serge Sorese is the owner and Chef at Mon Delice French Bakery. A native of France and son of restauranteurs, he discovered his culinary skills early in life. Since 1992 he has been serving authentic French tastes including pastries, bread, pies and cakes to locals and visitors alike. Click here for full information and to purchase tickets.